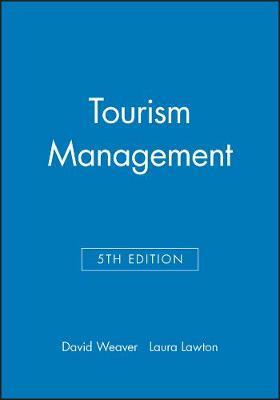 Tourism Management, 5th Edition explains why innovative and adaptive management is required for success in the tourism industry. The book covers popular topics including: eco-tourism, tourism resilience and tourism research. With heaps of examples and case studies from the Asia-Pacific region, you will be sure to benefit from this text in your hospitality and tourism studies. Features Current Australian and international examples and statistics. Chapter on sustainable tourism including ecotourism, sustainable mass tourism and industry responses and practices. Chapter review summarises the key points of each chapter and contains a summary of key concepts.